Well, this is a surprise. 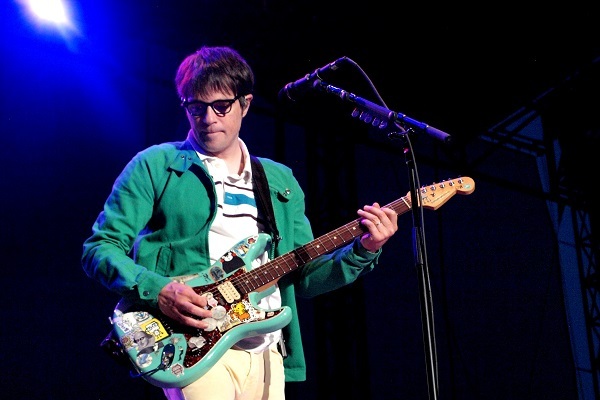 Weezer, without any warning, has released a surprise set of cover songs, called “Weezer (The Teal Album).” Chances are, it has something to do with the massive success of Weezer’s cover of Toto’s “Africa,” which ruled the airwaves in 2018. “The Teal Album” features Weezer’s cover of Toto’s “Africa,” as well as “No Scrubs” by TLC, “Happy Together” by The Turtles, “Take on Me” from a-ha, Michael Jackson’s “Billie Jean”, “Sweet Dreams (Are Made of This)” by The Eurythmics and several others. The good news is that “The Teal Album” won’t get in the way of Weezer’s upcoming album of originals. That set, “Weezer (The Black Album),” will arrive on March 1, 2019. Weezer spent much of last year on the road with Pixies, and they’ll embark on another tour with the Pixies this spring. That tour will kick off March 8 in Louisville, Kentucky.